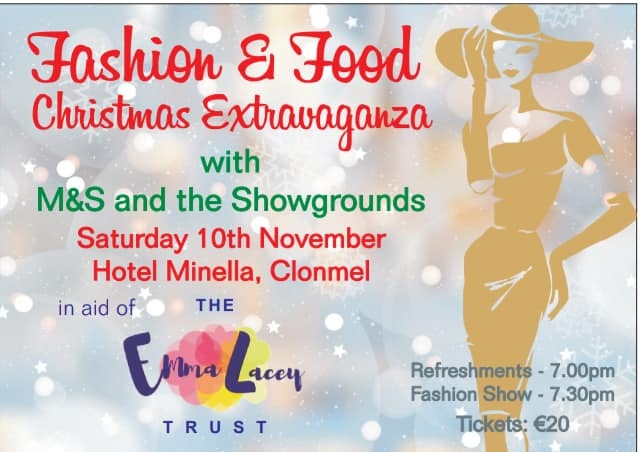 Fashion Show and Food Christmas Extravaganza with M&S and The Showgrounds, Clonmel in aid of The Emma Lacey Trust takes place on Saturday 10th November. Fashion Show: 7:30pm at Hotel Minella,Clonmel. Tickets are €20 and are available in Marians Bookshop and Marks & Spencer's Clonmel. Come join us for a great night of food,fashion and entertainment. We appreciate your support. Cahir Park AFC advance ! Can Vitamin D Make You A Better Athlete? Give blood in Cahir this evening !